LITTLE RED SAN, Design by Anna-Maria Jung. 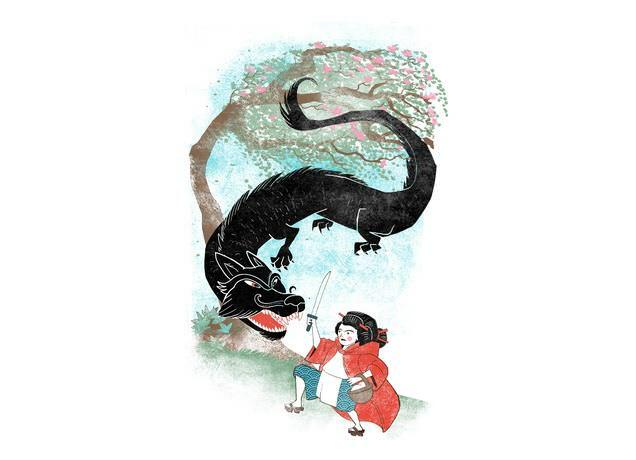 Anna-Maria Jung is a geeky illustrator from Austria whose work has appeared in children’s books, graphic novels, and on tees. It’s unlikely that she will accomplish her dream of traveling back in time to hunt monsters, ninjas, and evil doers, so Anna-Maria draws them instead. Gracias Anna Cucala, otra caperucita para la colección!